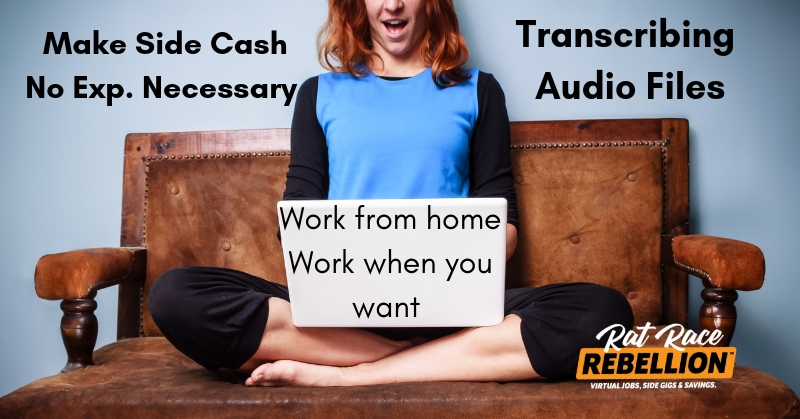 Work from Home Part-Time Transcribing Audio Recordings – No Exp. Necessary! Getting started is pretty straightforward. You’ll fill out your name and email on the page we’ve linked to below, and take a grammar and transcription test. The company generally lets you know within 48 hours if you’re approved to start working as a freelancer. On the pay side, you won’t get rich — Rev says its top monthly earning is $1,495, and the average is $245. But training is free, you can get paid while you gain experience, and you’ll also get the work-from-home track record that companies are increasingly looking for.